What is the best way to end the school year? During those last few weeks of school, students can hardly focus with summer right around the corner. Did you know that even at this time of year, there are ways to keep students engaged and end the school year strong? After that, it’s just a smooth transition into summer! 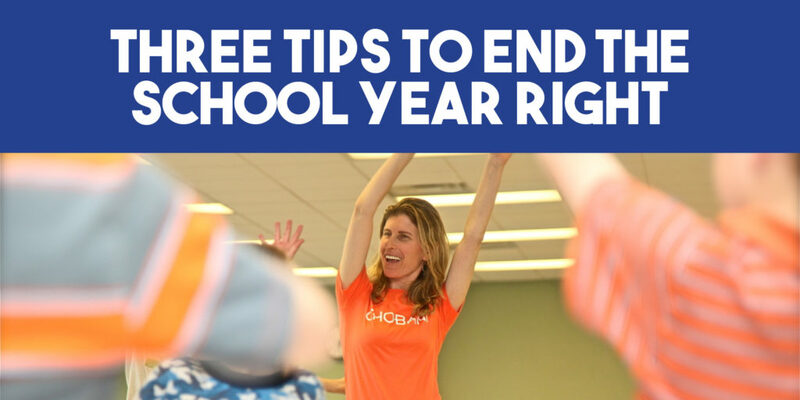 Below are three tips to end your school year right. Plan fun lessons that review the math and reading material that students learned throughout the school year. This will reinforce what students learned during the school year. If students focused on learning place value and decimals, the teacher could use the Place Value Hop and make a fun game out of it. When teachers make a fun activity, students are more likely to remember what they learn! It’s important that your students keep learning throughout the summer, otherwise, they may slowly forget what they learned throughout the year. In a newsletter or through email, you could notify parents of the importance of keeping kids engaged and learning over the summer. One way to keep students engaged is to recommend that parents use Math & Movement products/activities that the teacher had been using in the classroom. This way, students will already be familiar with the materials and will see the summer practice as a fun opportunity! It’s never too early to start reflecting on the most recent school year and thinking ahead to the next one. Over the summer is a great time for teachers to start reflecting on what went right over the previous year and what they want to improve in the fall. Maybe students need more practice with multiplication earlier in the year. Maybe you want to rethink how you introduce complex fractions. Math & Movement allows teachers to introduce new concepts and practice skills in a fun, engaging way that benefits all learners.